RCS is a respected private provider of education, training and consulting services to the agricultural industry. RCS has a professional focus towards building your business and regenerating the Australian agricultural landscape. Marcus Oldham is a business management college specialising in degrees and diplomas in Farm Business Management, Agribusiness, and Horse Business Management. 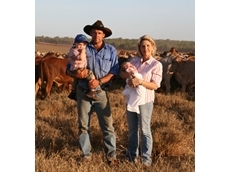 02/09/09 - Chris and Marie Muldoon’s interest in cell grazing was triggered years before moving to Midway Station in the Northern Territory, where they finally had the opportunity to implement the practice.